Mainly focuses on the following three aspects. They are described below Education is the process of civilization in which teaching and learning comes side by side. It is the light of life. Without education our life would be in darkness. One cannot move in the right direction without the help of education. They cannot distinguish what is right and what is wrong. They cannot reach in their goals they want without education. The same problem is being faced by the young generations in village. They are deprived of getting education. 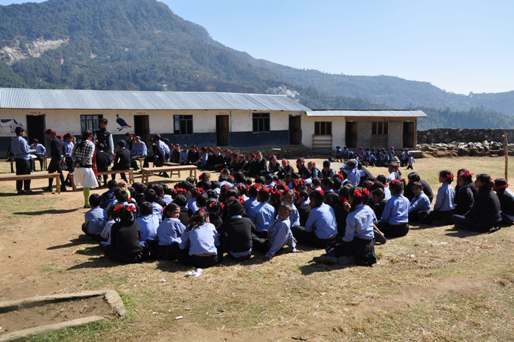 The problem is there are only some schools in our Sherpa village. Some schools that are available are also not good and many children cannot reach to their school in time. The children have to walk 2 to 3 hrs to reach their school. How to Utilize 12% Funds ? Funds Are Utilized For This Project. 1) They can provide money for building new schools because in the Sherpa village the schools are very old and of old design. 2) The Sherpa children are very poor and they cannot buy all the books so, people can also help by providing some books and guide to the children.